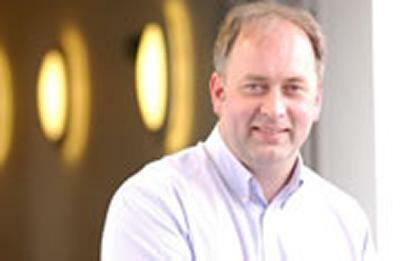 The University of Southampton is pleased to announce that Nick Jennings, Professor of Computer Science and a Chief Scientific Advisor to the UK Government, has been appointed as its first Regius Professor in Computer Science. The prestigious title of Regius Professorship was awarded to the University, and 11 other institutions, by HM The Queen last year to mark her Diamond Jubilee. A Regius Professorship is a rare privilege – before the recent awards, only two had been created in the past century. They reflect the exceptionally high-quality of teaching and research at an institution; this is the only Regius Professorship in computer science. Professor Jennings is an internationally-recognised authority in the areas of agent-based computing and intelligent systems. His research covers both the science and the engineering of these systems. Specifically, he has undertaken fundamental research on automated bargaining, auctions, mechanism design, trust and reputation, coalition formation and decentralised control. He has also pioneered the application of multi-agent technology; developing some of the first real-world systems (in domains such as business process management, energy systems/smart grid, sensor networks, disaster response, telecommunications, and eDefence) and generally advocating the area of agent-oriented software engineering. Professor Jennings also leads the ORCHID programme, which investigates how people can work in partnership with highly inter-connected computational components (agents) as ‘human agent collectives’ (HACs) to manage the response to a disaster. During the last 26 years, Computer Science at the University of Southampton has grown in scale and global eminence, attracting students and researchers from around the world, providing academic leadership and continuing to define and develop new leading-edge technologies and approaches. Southampton’s world-leading achievements in Computer Science include the development of pioneering hypermedia systems in the late 1980s, laying the foundations of agent-based computing and intelligent systems since the late 1990s and work on web science since 2000.